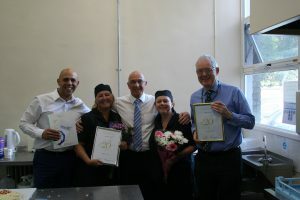 In Hounslow we love to recognise the hard work of our teams, so here are some of our colleagues with their Long Service Awards in school meals for The London Borough of Hounslow! 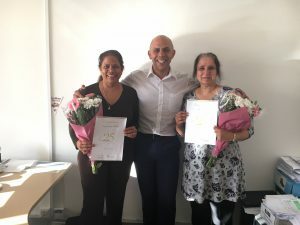 Above: Our lovely Hounslow Office Administrators Philomena and Navneet, each with their 25 years service awards with our Senior Regional Manager Tim Cay. 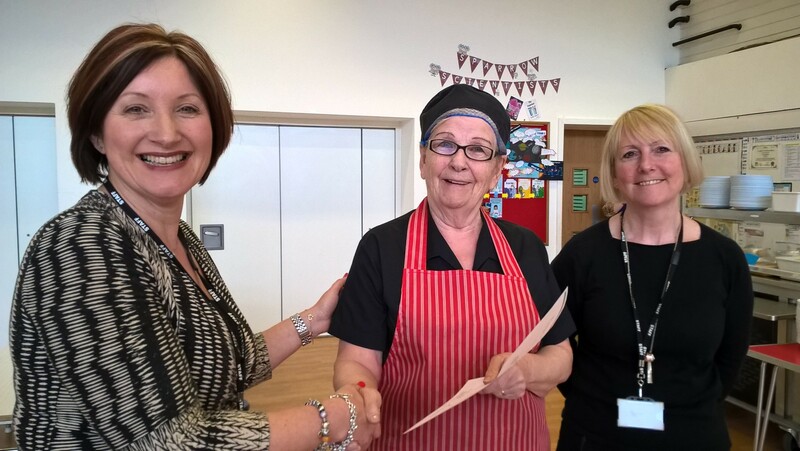 Above: Mrs Aine Hosey presented with her award by the Head Teacher at Sparrow Farm Junior School. 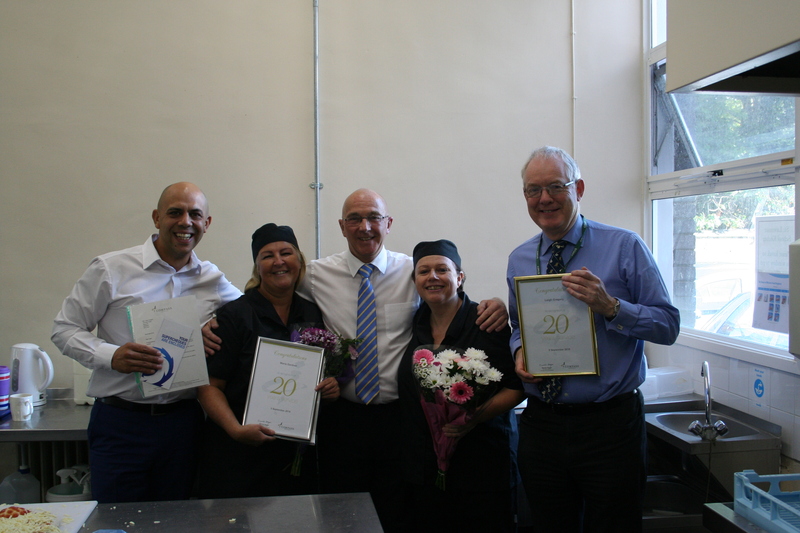 Above: Leigh Gregory and Maria Gardner at St Lawrence school in Feltham, each with their 20 years service awards presented by Head teacher Rory McCormack, Chartwells Area Manager David Harris and Senior Regional Manager Tim Cay. 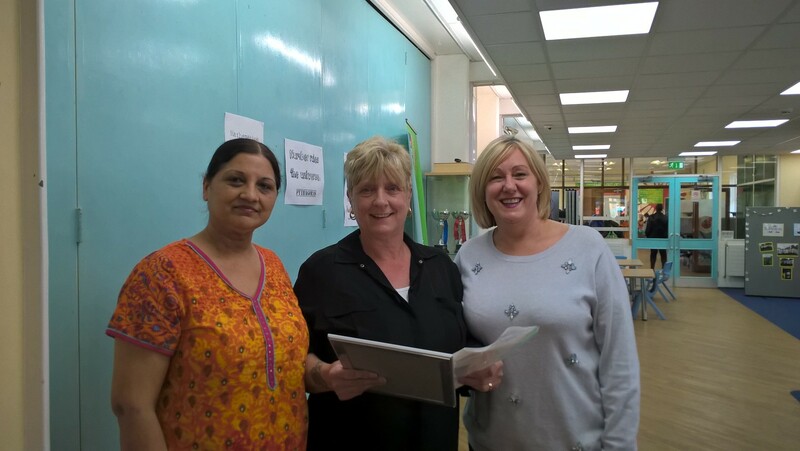 Above: Linda Hart at Beavers school with her 30 years of service award with the Head teacher Dee and Unit Manager Satbir Virdee.